+ WHEN DOES REGISTRATION BEGIN? + WHEN ARE SUBMISSIONS DUE? Februrary 29th, 2016 11:59 CST. + How much are entry fees? $35 dollars will be due upon entry submission via PayPal. + HOW MUCH IS THE WINNING PRIZE? There is a $1000 cash prize for the winning team! There is also the potential to move on to further stages of design development. + Can you show the 8 blocks, location of Reel FX, and Deep Ellum Brewing Company that is mentioned in the brief? + Do we need to maintain any vehicular access to Crowdus St, where there are currently service zones (i.e. 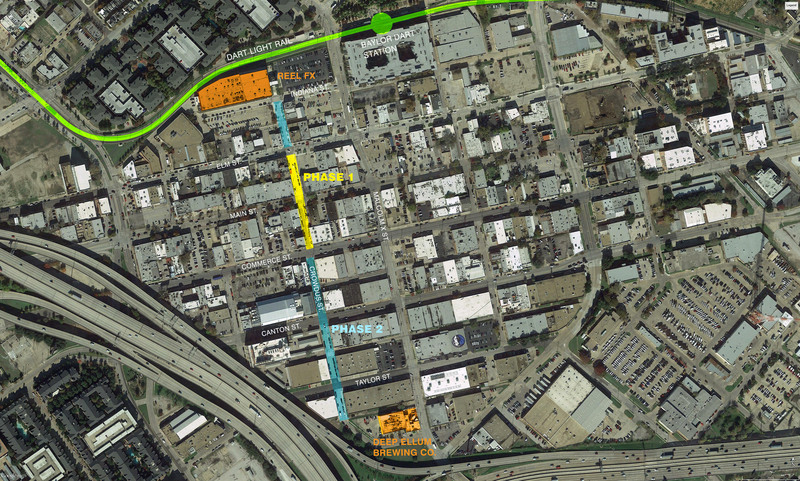 behind Uncle Ubers – and also next to Curtain club) or does trash and parking and loading move to a different location? If you block or remove current service zones then you need to indicate a new strategy for how commercial businesses will be served. Beyond commercial needs, your design solution needs to allow for emergency vehicle access. + Can we propose uses for the parking lot across from Wits End at the intersection of Crowdus St. and Elm St.? Or should that be considered not in scope? The Crowdus street right-of-way, including intersections and sidewalks are the required but not the limits of the scope. Proposals made for areas beyond the right-of-way are on private property so it can be incorporated as part of the design, but will be considered outside of the initial phase of development. It is up to each team to determine the extent of their vision for the street. Judging will be based on the quality and articulation rather than the scale of that vision. + Do you consider it feasabile to change or level the pavement of the street and to rethink the public lighting? Yes, please consider the ground plane and public lighting as important consideration for your design. Teams can redesign the material and level of the street (but are not limited to only these considerations).